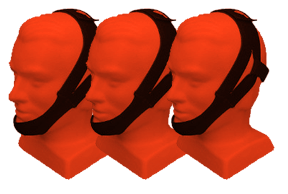 The snoring chin strap is a specially designed solution for snoring which is specifically made for mouth breathers in order to help them stop their snoring problems. Usually when people have their mouth open when they sleep they can wake up with dryness in the mouth and/or their throat also. So if this is the case with you then a snoring chin strap is probably a good device for you. It is quite common that those who breathe through their mouth could also snore and although you may not realize that yourself as you sleep it is still a problem because it can get worse (most people who have sleep apnea also snore) and also everyone in the house suffers from it and can not get enough sleep. This is why it is important always to take action. 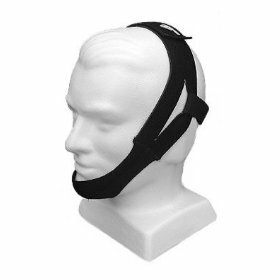 It would not be accurate to say that just getting yourself an anti snoring chin strap will put an end to all your snoring problems. It is important to treat the root cause of the snoring and one of the elements of this is you being a mouth breather. This is one thing the snoring chin strap can definitely help with. However, it could also be that you are breathing through the mouth only because you have a nasal congestion. In this case then you would not need to wear a chin strap if you can fix the congestion and get back to breathing through your nose (if that’s how you normally breathe). If you talk to your doctor you will see there are many snoring solutions and sometimes it could be that he or she will not recommend a snoring chin strap because you may have a more serious problem like sleep apnea. In other more mild cases though it could be a good idea to use one because, although you wear it over and around your head, it is definitely more comfortable to wear than other devices like an anti snoring mouth piece. Probably the best benefit that a snoring chin strap can give you is that over time it will teach you to breathe through the nose and as most snoring is coming through the mouth / throat then just by learning to change your breathing you can solve your snoring problems. There is no rule on how long it takes, but you can test it once in a while and ask your partner or family to tell you if you snored or not. As a general rule it takes about 40 days to generate a habit, but each individual is unique so you just have to test yourself with the snoring chin strap. 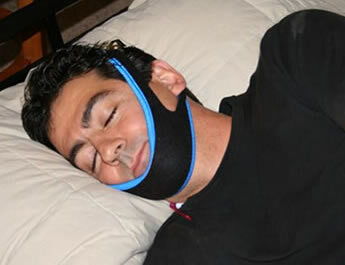 Ok, I like it, but how does the snoring chin strap exactly work? 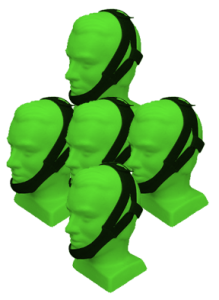 What the snoring chin strap does is it holds the lower jaw up and keeps supporting it to keep your mouth closed at all times. It’s like a mouth piece working from the outside. That’s pretty much all it does – real simple. And the reason this works is because it reduces the effect of the tongue blocking your airway. Normally, without the chin strap, when you sleep the tongue rolls back and by doing that it blocks some portion of the airway thereby creating the vibration we call snoring. The snoring chin strap does not allow this to happen because it moves the lower jaw up which actually brings the tongue slightly forward so when it rolls back it does not block the air passage. In addition to that as you are breathing through the nose and not your mouth the mechanism is different. Both the air flow pressure and the angles and forces by which tissues are pressured are different and therefore this also works to reduce or stop the snoring. 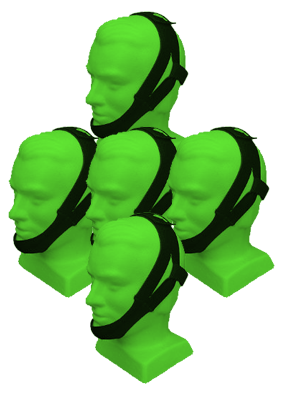 The anti snoring chin strap comes in “many shapes and sizes” from various manufacturers. While the logic is always the same the material quality can be different as well as the design of it, thus some can be more comfortable or nicer than others. “You get what you pay for” is, as usual, a good advice, but that said snoring chin straps are by nature very cheap things relatively speaking. Very quick results. If it works for you then you will see it straight away or maximum after a few days.